On Tuesday, Dec. 27 the Wake Forest Demon Deacons will meet the No. 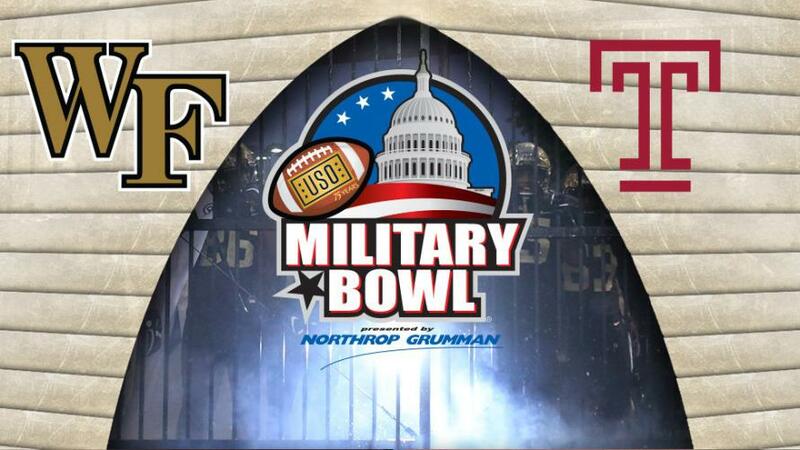 24 Temple Owls in the 2016 Military Bowl presented by Northrop Grumman. Respectively making their second bowl appearances in Annapolis, Md., each team enters Tuesday’s game with vastly different storylines. The Owls (10-3) return to Annapolis just weeks removed from taking home the American Athletic Conference Championship in a dominating 34-10 performance over Navy at Navy-Marine Corps Memorial Stadium. This win gave the program its third ever double-digit-win season, but came at the cost of losing its coach Matt Rhule, whose success prompted him to be offered the head coaching position at Baylor, a position which he accepted. Wake Forest (6-6) on the other hand comes to Annapolis under the spotlight of the national media as the so-called “WakeyLeak” scandal has undermined the fact that the Demon Deacons are playing in their first bowl game since 2011. On the eve of the Demon Deacons’ Nov. 12 game against Louisville members of the Wake Forest equipment staff found copies of the team’s game plan inside Papa Johns Stadium, raising suspicion of how confidential team strategy could have been compromised. After an internal investigation the Wake Forest Athletic Department announced that one of its own, Tommy Elrod, a former assistant coach under Jim Grobe and most recently one of the team’s radio announcers, was responsible for passing along confidential information to opposing teams that put Wake Forest at a disadvantage. 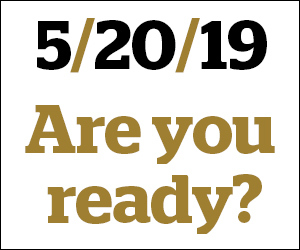 While coach Dave Clawson has said he wishes the media’s focus were on the improvement of his football team, seemingly every headline surrounding the program has centered on the bizarre betrayal of one of its own, and the teams that accepted this confidential information. The Demon Deacons believe the best way to move away from the “WakeyLeak” scandal is to take care of business in Annapolis. A win over a talented Temple team would be the ideal ending to a season that has shown so much promise. Beginning the season 5-1, the Demon Deacons showed they were a much-improved team from a year before. The offensive line was establishing a running game that was among the worst in college football in 2015 and the defense was playing at one of the highest levels in the country, led by senior linebacker Marquel Lee, junior defensive end Duke Ejifor and freshman safety Jessie Bates III who earned freshman All-American honors. The final six games did not fare as favorably in the win-loss column as the Deacs finished the season winning just one of its final six games. This final stretch of the season featured trips to Florida State and Louisville and a home game against Clemson, a trio of opponents that have consistently been at the top of the ACC Atlantic Division. Although the Deacs fell in each of these games, they played competitively and proved that behind an elite defense, they could compete with the nation’s best. Wake Forest will look to play to its strengths to come out victorious against Temple. It will look to win the turnover battle, apply an effective pass rush and control the field position battle. In many ways Temple is the better team. It has dominated a number of quality opponents over the course of the season and is one of the more balanced teams in the country, ranking in the top 40 in both offensive and defensive efficiencies. However, after winning its conference title game, it’s hard to imagine that the Owls could have been enthusiastic about playing a 6-6 opponent in its bowl game. 22 days have passed since bowl invitations were issued. If players were not enthusiastic about their destination or opponent, thinking they deserved better, practices inevitably could not have been run with optimal efficiency and productivity. The possibility of disappointment, combined with the distraction of losing its head coach arguably gives Wake Forest a chance. I anticipate the Demon Deacons have the mental edge for Tuesday’s game. They were fired up on Dec. 4 when they learned they were playing in Annapolis, and they are certainly motivated to shift the focus away from “WakeyLeaks” and to the significant steps coach Clawson and the program are making to becoming consistently relevant in the ACC.